All States Notary, Inc. (ASN) is a Nationwide Notary Public Signing Service specializing in loan and real estate document notarizations. We also assist with business and other document notarizations. Our clients include title and escrow companies, financial institutions, mortgage brokers, real estate agents, attorneys, and various other businesses that use the services of a notary public. We are committed to making it easy for our clients to find a qualified loan signing agent allowing them to concentrate their resources on their core business. 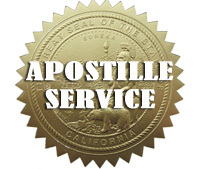 Our notary service, based in California since 2003, operates nationwide. We have a vast network of mobile notaries to service all 50 states.